AnApp is taking an innovative approach to put IOTW's "Proof of Assignment" and "Micro-mining" blockchain algorithms into IoT devices without adding any hardware cost. It opens the door for new industries beyond telecommunications that are looking to revolutionize DOCOMO's products through IOTW's innovative technologies, such as IoT devices, high definition video, Apps, Cell phones etc. The next-generation communication system, 5G, is expected to be a key promoter of the IoT society - where all devices are connected to the Internet, with features such as high speed, large capacity, low latency, and a large amount of terminals. Frederick Leung, co-founder and CEO of AnApp, said, "We are very pleased to be selected as one of the five blockchain partners in the "5G Open Partner Program" of NTT DOCOMO. 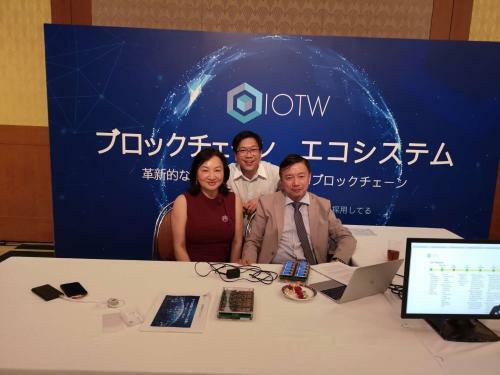 By participating in this program, IOTW is willing to contribute our innovative technologies to spread IoT solutions for the Japanese society, as well as promoting the development of services using 5G provided by NTT DOCOMO. We are very certain that our cooperation can potentially impact everybody's daily life, end users can benefit from it, accelerating the sales of IoT devices that are connected to the NTT DOCOMO network. Leveraging IOTW's core team with more than 30 years of experience in computer hardware and software experience, our innovative "POA" and "Micro-mining" algorithms will enable NTT DOCOMO to collect big data as well as end users will fully benefit from Micro-mining." AnApp is developing the IOTW blockchain software which can run on different IoT devices. The micro-mining software can be embedded into IoT chipsets and also downloaded into existing IoT devices through firmware updates. NTT DOCOMO, Japan's leading mobile operator with over 76 million subscriptions, is one of the world's foremost contributors to 3G, 4G and 5G mobile network technologies. Under a medium-term plan toward 2020 and beyond, DOCOMO is pioneering a leading-edge 5G network to facilitate innovative services that will amaze and inspire customers beyond their expectations. DOCOMO is listed on the Tokyo Stock Exchange (9437).